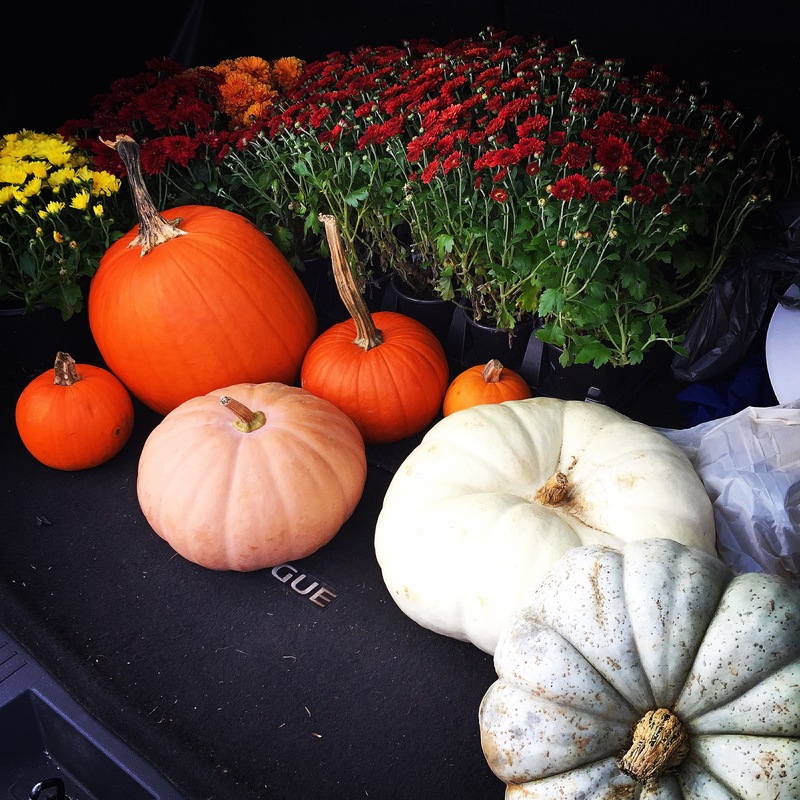 Last weekend Pete and I finally decided to buy some pumpkins and mums. I was actually a little hesitant about buying the mums because I had a project I had been meaning to do and just didn’t get around to doing it. I actually said to Pete, “If we get mums that means I’m going to have to do the buckets.” To which he insisted on getting the mums. As usual, he was right, it was a great idea. I’m so happy I did them. It only cost me the price of the mums, so $10. 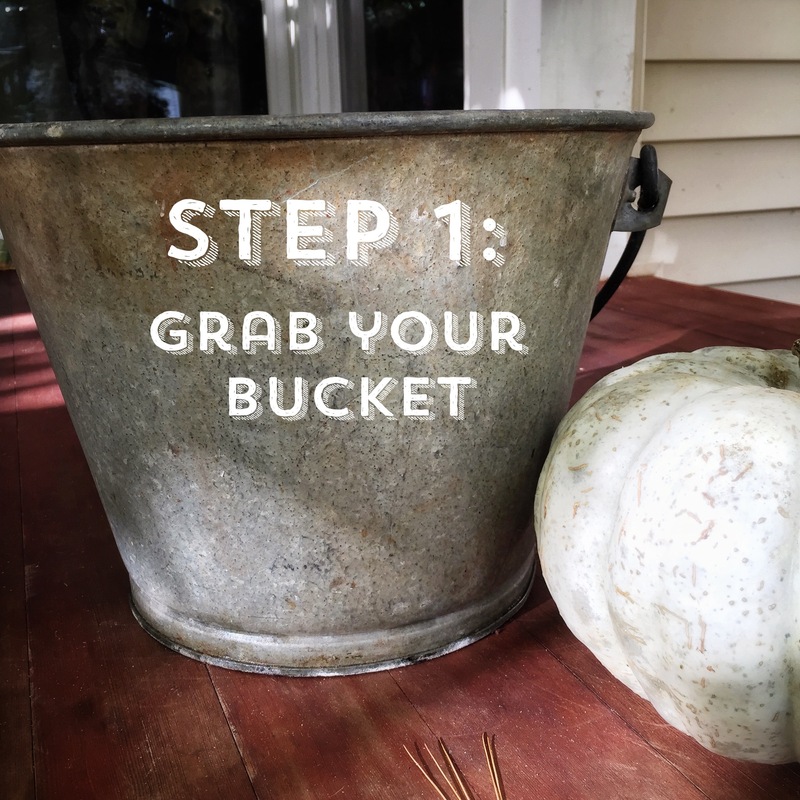 I had the buckets, paint, and soil just collecting dust in the garage. Also, the best part of this project was that it literally took me 30 minutes start to finish. 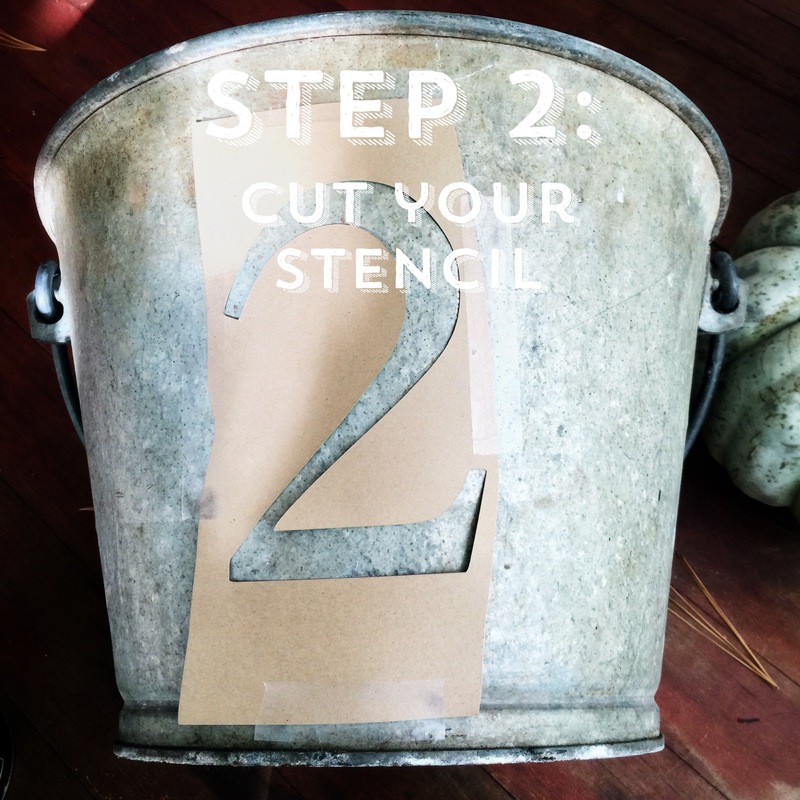 My favorite way to cut a stencil is with my Cricut. But there are other ways as well. It involves an X-acto knife, patience, and a steady hand. All of which take more time than my trusty Cricut. Also, for this step I prefer to spray the stencil with a light coat of spray adhesive for more crisp lines, but I couldn’t find mine. Nothing a little Goof Off couldn’t fix, though. 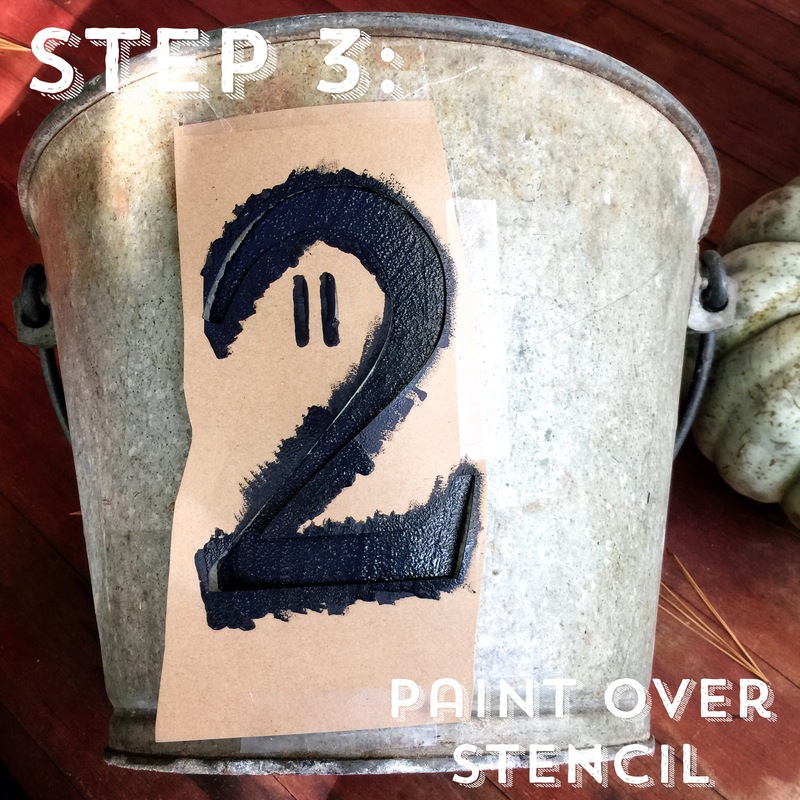 I used chalkboard paint because it was the first one I came across in my closet, but you could pretty much use any type of paint. 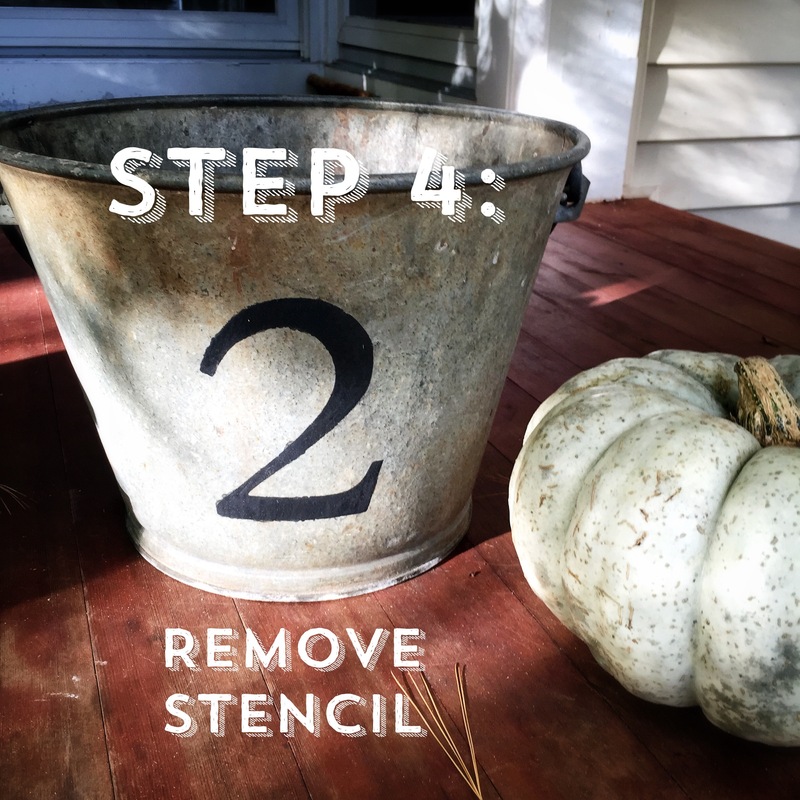 Remove stencil once the paint is dry. If there was any bleeding of the paint (you can see a little in this photo) just take some Goof Off and a Q tip and clean up the edges. It comes right off. Next, just add your soil and flowers and you are set! Since mums are only nice for fall time, once it’t time to plant these and switch to Christmas, I’m going to put little pine trees in them for winter. If you decide to make these, enjoy! Have fun! 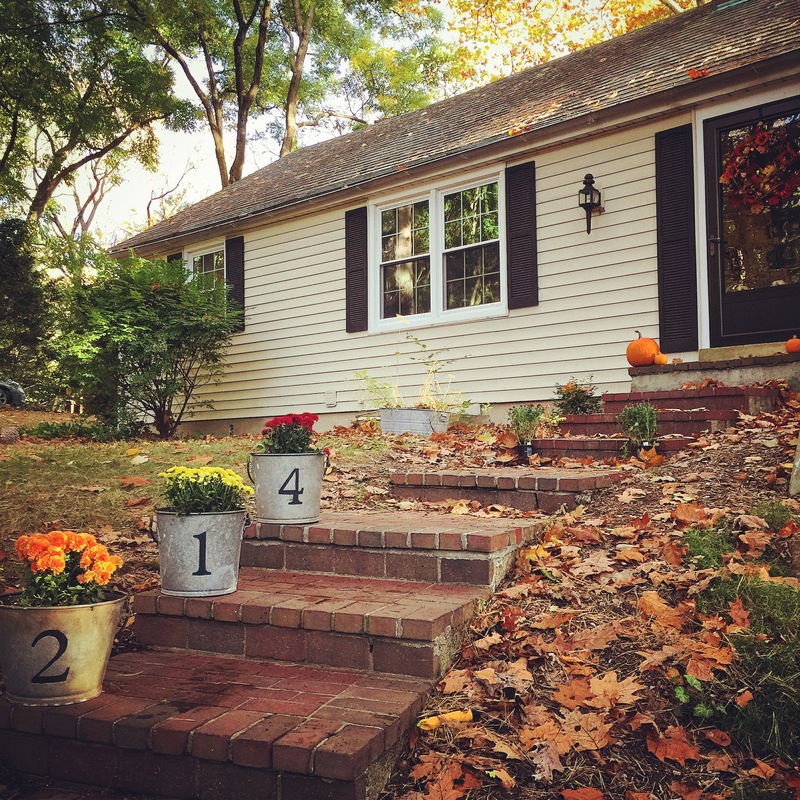 Posted in Home Sweet HomeTagged address, buckets, curb appeal, DIY, Fall, mums, plantersBookmark the permalink. 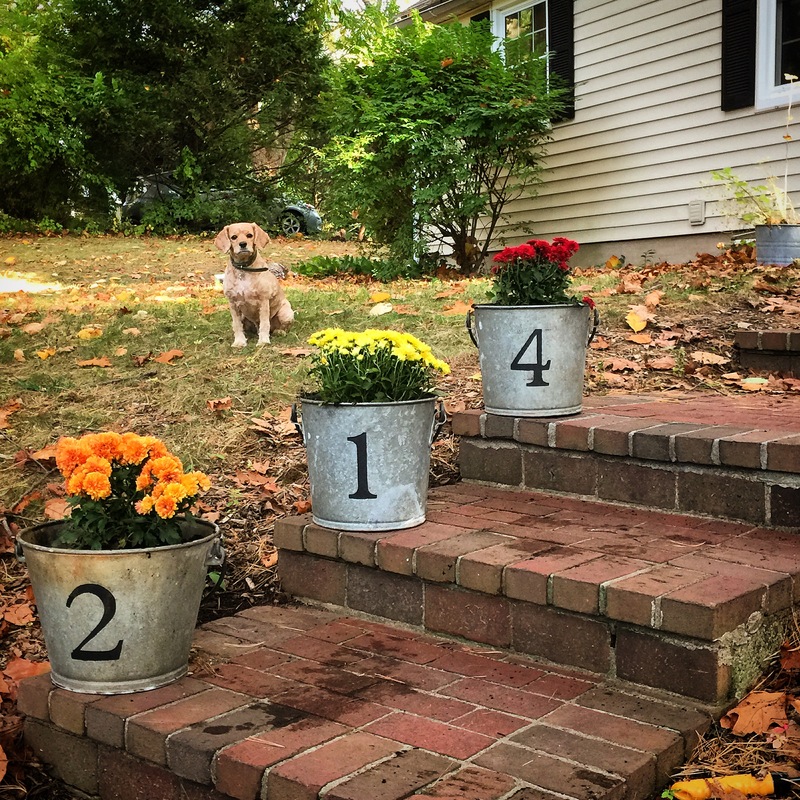 The buckets are nice, but the pup in the background rules!! haha! that’s Wren. She is a professional photobomber!